2012 marks a new year for many drivers in Formula 1. The biggest news is the Williams F1 Team signing of Ayrton Senna's nephew, Bruno Senna. Team principal Frank Williams, who was in charge of Williams when Ayrton Senna died, said he was looking forward to seeing Bruno compete at the highest level. The driver struggled with HRT in the team's debut season, then moved to Renault as a reserve driver before replacing Nick Heidfeld for the final eight races of 2011, but scored points in just one of his eight races as he finished ninth at the Italian Grand Prix. "The circumstances of Bruno's two seasons in Formula One have not given him an ideal opportunity to deliver consistently so it was essential that we spent as much time with him as possible to understand and evaluate him as a driver," Frank said. "We have done this both on track and in our simulator and he has proven quick, technically insightful and above all capable of learning and applying his learning quickly and consistently. Now we are looking forward to seeing that talent in our race car." The Brazilian will partner Pastor Maldonado when the 2012 F1 season gets underway in Australia on March 18, replacing veteran compatriot Rubens Barrichello. Barrichello said on his official Twitter account: "I won't be driving the Williams car this year. 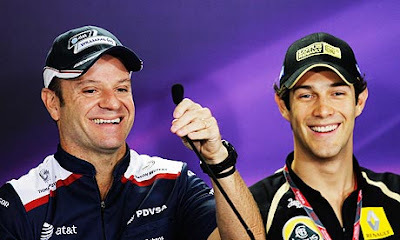 I wish my friend @BSenna all the best..the future is wide open." Bruno's uncle Ayrton is one of the greatest drivers the sport has seen, winning drivers' championship crowns in 1988, 1990 and 1991 before he died in a crash at the San Marino Grand Prix in 1994. It was only his third race for Williams. 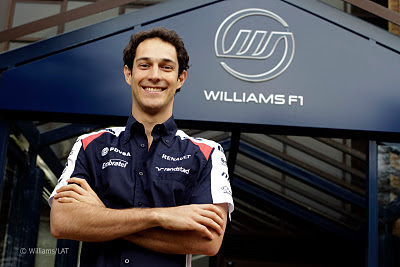 Williams' cars have carried his name ever since the tragedy at the Imola racing circuit, and Bruno, who made his debut for HRT in 2010, says he is excited to follow in his uncle's footsteps.